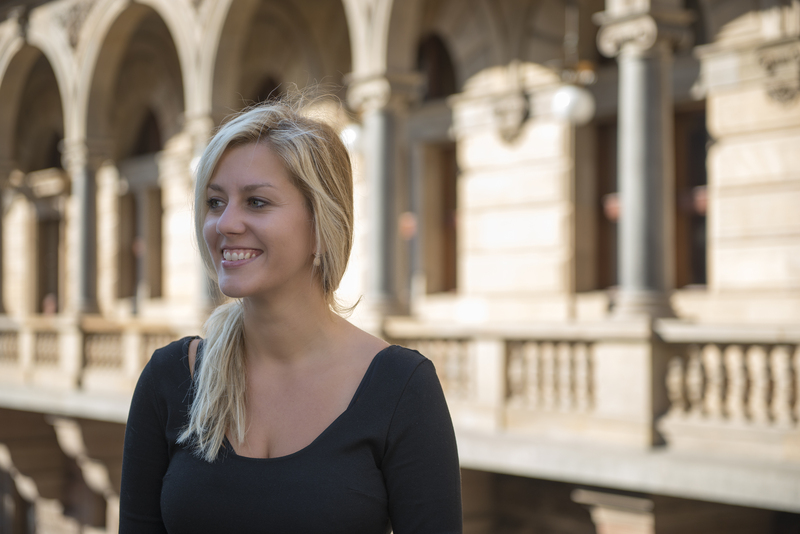 What drew you to UNYP initially, then compelled you to return for your master’s degree? It was 2003, and I was studying Biology and Geography in one of the most prominent state universities in the Czech Republic. However, I was unhappy with the way the learning process was handled: overcrowded lectures, nearly nonexistent professor-student relationship and uneven feedback. Cheating was a regular occurrence. The university’s traditions and reputation were attractive and some of our professors were great, but the experience as a whole wasn’t what I hoped for. 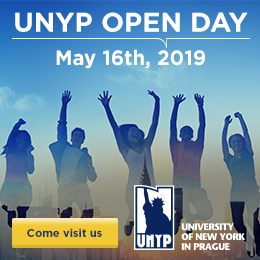 At that time my father’s friend heard about UNYP and suggested that it might be something that I would enjoy, so I enrolled for the fall 2004 semester in the Communication and Mass Media program (by that time I had given up on my childhood dream of becoming a famed biologist, haha). The study process turned out exactly how I had hoped: open discussions, group projects, challenging tasks, all in English, friendly professors and an overall positive, creative vibe. I finished my BA in 2008 and applied for my first MA in Film Studies in Newcastle upon Tyne (UK). As I was finalizing my thesis, I met my UNYP friend Hana Sadilkova – and over a cake and coffee we laughed that it might be a fun idea to be classmates once again. That is how I enrolled for my second MA in Business Communication and Marketing at La Salle University, in Prague. I find it interesting to compare the differences between the Czech, British and American educational systems and teaching styles. And of course, the American style is my favorite! You have been Ondrej Pivec’s PR and booking agent for over ten years now! How did you start working for him, and what do you like the most about this collaboration? We have known each other since we were 14 years old, we met in high school. The first time I went to his show and an album release party in 2007, he said that if I was bored teaching English (which is what I was doing at the time), we should think of working together. A couple of months later, he Skyped me, sitting on his bed, apparently in distress: "Dominika, our manager took our money, we were supposed to play in Greece tomorrow, she's gone. Do you want to help me out?" I did, and have been working with him since that day. This collaboration has been nothing but the most vibrant and enriching experience! The music world is volatile, insecure, often unfair. But Ondrej is a great and smart artist with grand visions, which makes our collaboration a fantastic ride. Mutual respect and understanding are a big part of our professional relationship. What key lessons have you learned from being a PR agent? I think the most valuable lesson was understanding that PR work depends a lot on your personality. I loved working on some projects, but then some other projects completely drained me. Of course, some people can completely separate themselves from their work, and at the end of the day they close their laptop and forget all the troubles of the day. However, I am not one of them, and all my PR jobs required total immersion from my side – and if that's the case, then I want to have a choice of whom I work for, and I need to believe in them. Only then I can be proud of my work. Being a PR agent can be intense but always great fun! How did you land the job at Fource Entertainment? I met Anthony (the founder of Fource Entertainment) through a different contact who knew us as two people who have been influential in the music industry here in the Czech Republic. That person wanted to set up a collab, but the project never moved on. However, Anthony and I clicked, met several times and set up Fource. It was our baby, and we raised it from zero to what it is now in three years. This project is still going strong, and I'm proud of that achievement. I believe it's the most professional company in the music industry in the Czech Republic, possibly in Central Europe. It was challenging, although we pretty much knew what we needed and wanted to do. In the beginning, nobody knew us, people were not always trusting. But we landed a few shows that were a great success – and we started to grow. We were together almost 24/7, so of course, sometimes we had some disagreements, but overall I believe we created a fantastic company that set many trends (in social media marketing, online marketing, SEO, music production...) in the industry, and it was great fun. My biggest challenge there was that a chronic illness (either Lyme Disease, Chronic Fatigue Syndrome or both) was slowly creeping up on me, and I had to leave the company in 2014 after 3.5 years. What about your work at Nanovo? Jirka, one of two Nanovo founders, is my classmate and a friend from high school. I knew they had set up Nanovo (a design shop with beautiful Czechoslovak and international designs from the second half of the 20th century) and I loved their concept. I started working with them on a part-time basis, translating something here and there, coaching them about social media marketing. In 2015, when I was really sick, bed-bound and only really able to work a few hours a week, they helped me a lot. I became their PR agent and translator and tried to do my best, given the circumstances. Slowly I healed and started to work from their shop. To this day I am thankful that they were so understanding and supportive. They are really good friends of mine, and I still enjoy helping them out. What advice would you give to a current or prospective UNYP PR and Communication student? Don't be afraid to discover. Always work on widening your horizons, never stop educating yourselves. Today's world moves very quickly – if you fall asleep, you're going to fall back. Having said that, learn and know when and how to rest. The speed of life, social media, smartphones – everything is so fast that we forget to relax. This brings a myriad of health problems – and without your health, you can't do anything. Otherwise, I think the students know what they're there to do – study and learn. Good luck! I'd like to incorporate more traveling in my schedule (I just can't sit still!). We have some tours with Ondrej coming up, so there's always something to look forward to. In the long run, maybe one day I'll invite you to my own farm for a good meal – who knows?